The flowers start as rounded buds, held in small clusters. These gradually open to reveal quite large, rounded, deeply cupped flowers, with a many-petalled centre. 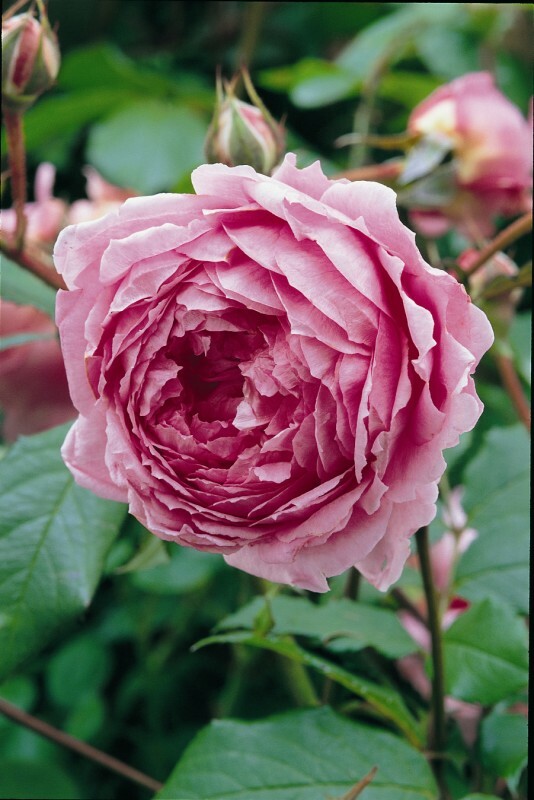 The outer petals are pale pink, while the centre petals are a pleasing shade of deep, glowing pink. There is a delicious, soft and warm Old Rose fragrance with a hint of citrus. The leaves are red at the bud stage, soon turning glossy green. They typically have seven to nine leaflets. It is a tough, healthy variety with elegant, arching stems.